Perfect for vehicle loading and unloading, parcel distribution centres and depots, packaging, machine-to-machine-linking and all cross docking applications. Very easy to quickly move in or out of trucks for faster, safer, easier loading and unloading. - Support legs are fully adjustable from 770mm to 1095mm as standard. - 150 Kgs load capacity per linear metre based on a level working height. 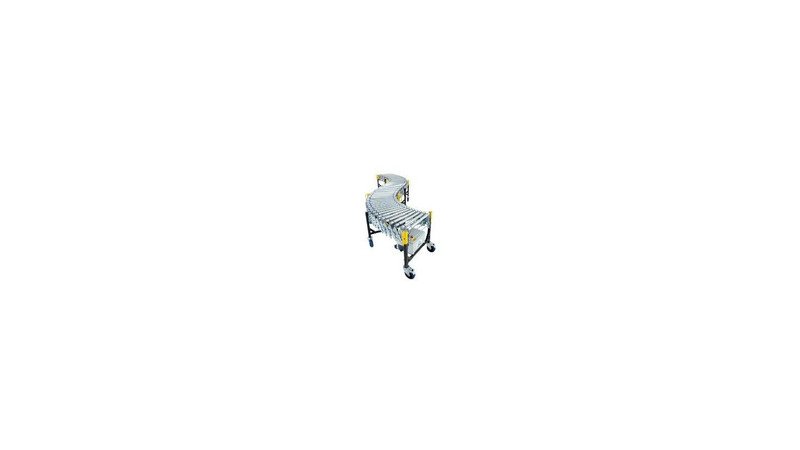 - 450mm, 600mm and 750mm standard conveyor widths (900mm width option). - All support legs have welded braces for additional strength and rigidity. - Heavy Duty Castors - 160mm x 50mm swivel castors for maximum manoeuvrability. The castor wheel incorporates a foot operated brake. - SEW EuroDrive AC Motors - Conveyor speed is fully adjustable from 10 to 40 metres per minute; 0.09Kw for 230V/240V single phase supply. - Motor Overload Protection - all drive motors have individual overload protection and LED warning to clearly indicate trip out. - State-of-the-Art, all steel electrical control cabinets sealed to IP55 standard. - Zero-Pressure accumulation provides non touch pressure free product queuing. - Indexing - electronically controlled spacing of packages and cartons for easier handling and bar code scanning. - Conveyor fully complies with all CE legislation.